Our online store has been selling Liquid Gold, the UK's highest quality and most popular room odourisers since 2002. Join over 3000 regular customers for great service and the lowest prices on the internet for Liquid Gold poppers and other top quality brands. 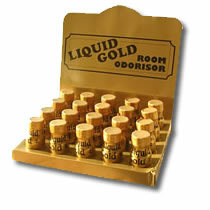 Sold now exclusively as 'room odourisers', Liquid Gold and other UK poppers such as amyl nitrite and isobutyl nitrite poppers have long been used for the benefit and enjoyment of mankind. Having the useful property of causing an instant lowering of a persons blood pressure they became a popular angina remedy as well as an antidote to cyanide poisoning before people discovered the increased blood flow also enhanced sexual sensation and stimulation. Please note that our room odourisers are not to be inhaled or put to any of the above uses. After a long career of increasing thrill and heat amongst its users, often but not exclusively gay men, poppers found a new home in the club scene, first disco in the 1970's then a new generation of ravers in the 1980's and 1990's where users reported that the increased blood flow took them to a higher level of enjoyment of the beat and the music. UK law no longer permits these enjoyment however Liquid Gold and its family of room odourisers can still be purchased for uses that do not involve the direct inhaling of the substance and it is available here at the lowest price on the web of only Â£1.99 per bottle if you buy 2 trays of 20 or only Â£2.99 per bottle if you purchase 3 bottles. We think we have the best reputation on the internet and do our best each day to turn first time buyers into happy and loyal customers.